2017 Retreat Workshop Schedule and Descriptions! 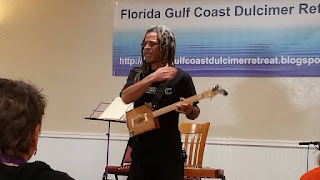 With summer over and everyone tucking into Fall, it's time for us to start looking towards our 5th Annual Florida Gulf Coast Dulcimer Retreat! Here is the schedule and below that are the workshop descriptions. This will be available as a link from the main site. There's no need to register for classes, just show up! 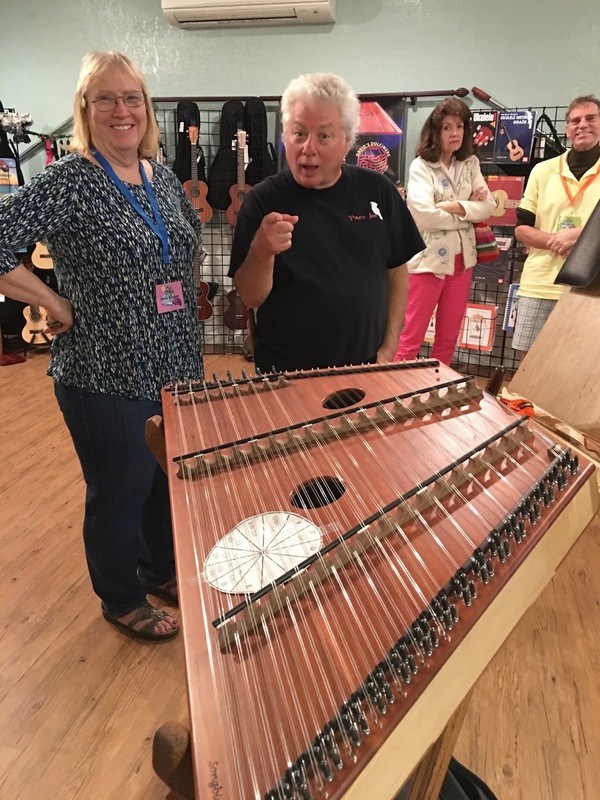 This is a “strings-side” up class and we’ll introduce the mountain dulcimer, learn how to change strings and tune them, then learn some scales and chords to play some simple songs. 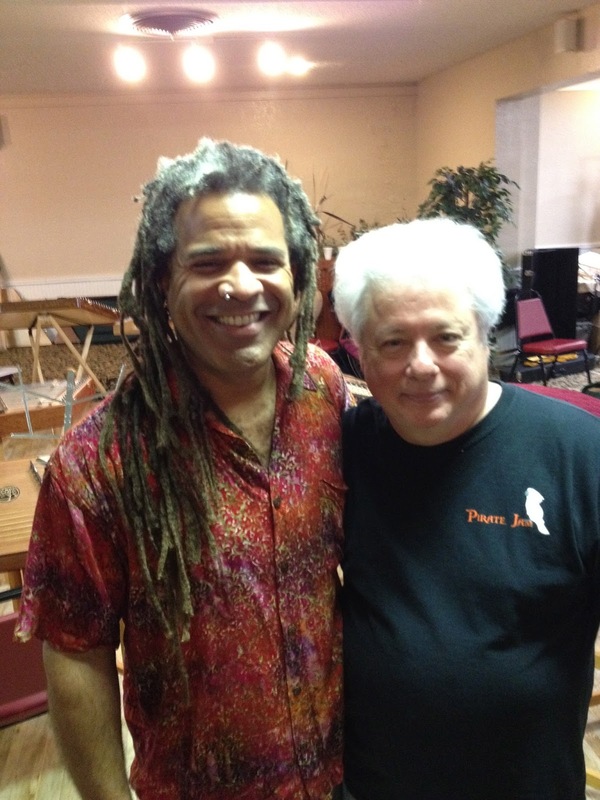 We’ll cover reading tablature, basic rhythm, strumming and plucking. If you’ve just started playing, or need a refresher course to get playing again, this is the workshop for you! We'll learn a whole bunch of fun tunes that don't require a whole lot of fancy picking, but still sound great when you mess around with them. We'll do a little traditional and even learn a couple of modern songs as well! If you’ve ever wanted to have a bass player in your jam, but didn’t want to learn how to play the bass or have to buy an expensive instrument and then lug it around, then check out the AutoBass! This fun workshop will give you hands-on experience playing this revolutionary new instrument that allows you to be the bassist in no time! Basic music theory instruction and practice time will give everyone the chance to be the bass player they’ve always wanted to be! I wrote this tune in the summer of 2016 and began performing it while on tour. I get more requests for tablature on this tune (which makes me happy) so I’ve decided to teach it by popular demand. For those not familiar with the piece, it starts off very gently flatpicked and then transforms into a chord-melody style piece before returning to a melodic flatpicking at the end. Sweet and somewhat sad, come learn one of my originals and get some insight on the composition and arranging too! 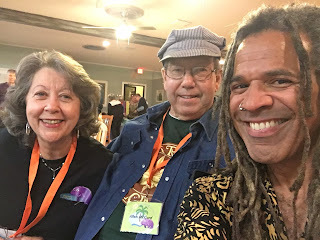 We’re gonna learn a Texas swing blues in D, complete with sassy licks, sweet seventh chords, solo turns and, if you’ve got a 1 1/2 fret, some wild jazz chords to seal the deal! Traditional Tunes Brought Back From Obscurity - Some songs are “obscure” because they aren't great songs. Other songs were just “lost to time”, and deserve a widespread audience. I've (hopefully) chosen a selection of great tunes from that second category. Only time will tell... DAD, no retuning. Songs That Have Stories - you all know the story of Thomas Dula (Tom Dooley), but do you know the story of Coleman's March, or Hangman's Reel? How about Angeline The Baker? I'll fill you in on the background of some popular tunes, and you'll have a few tales you can share with your next audience! DAD, bring a capo. 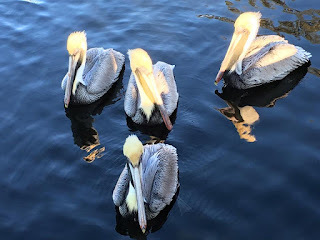 Murder Ballads II - a follow-up to my popular “Murder Ballads I” from 2015, MB II has even more tunes that tell a grisly story. 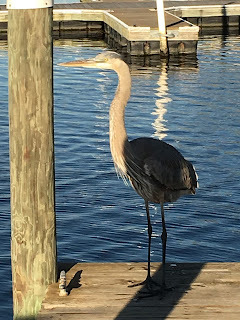 Most of these songs are a vital part of the folk music repertoire, and while they're often sad, the melodies are usually beautiful, and the backstories to the songs are guaranteed to entertain your audience. DAD, bring a capo. 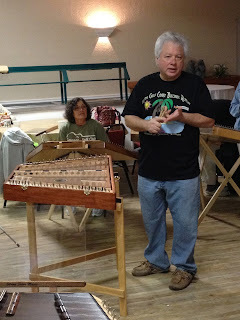 Absolute Beginning Hammered Dulcimer - Always wanted to try the Hammered Dulcimer? Just learning but want to brush up on your basic skills? 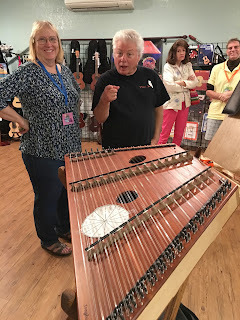 Guy will show you step by step, the way to play beautiful music on this exciting, and timeless instrument. Basics will be covered; locating the notes and playing some simple melodies and chords. 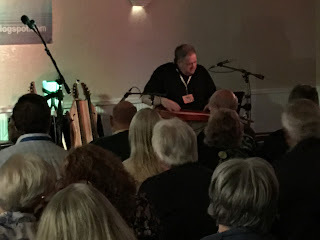 Don’t have a hammered dulcimer? A few free loaners will be available. Contact Guy at guy@guygeorge.com to reserve. Pennywhistle - Beginning - Learn how to play the easiest instrument to carry around! We’ll have you playing and sounding good in 2 keys! We’ll have fun learning a few easy tunes to play right away. Inexpensive, great sounding “D” whistles will be available at our vending area and at the workshop before it begins. HD - Innovative Chord Shapes, Back-up and Technique - Intermediate - Find the right chord inversion. 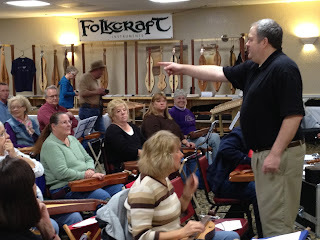 Explore different chord progressions and how to move chords around the dulcimer. Learn different chord patterns for back-up and fills. We’ll even sing with the dulcimer! Hammered Dulcimer, Pennywhistle and Steel Drum MANATEE ORCHESTRA - All Levels - Choose your instrument and have fun learning the tunes for the Manatee Or- chestra. NEW CRAZY INTERMEDIATE Pennywhistle - Not for Beginners! Learn new tunes in “Unfriendly Keys” to really stretch your skills as a pennywhistle player. We’ll address any concerns you may have in playing as we cover chromatics, chords, technique, tone, breathing, tonguing, wardrobe, tunes, and more! Get that upper register sounding good! Work on style and getting your own sound! Uke From the Ground Up - Absolute Beginner - Never played the uke? Now’s your chance! Start with the basics or review if it’s been a while since you played, and learn some tunes and strums on this fun little instrument. We appreciate and encourage sing- ing, but it’s optional! A few loaners will be available to try just for this class! Uke-A-Robics - Beyond Beginner to Intermediate - Find your inner peace on your uke as we stretch and strengthen our skills with finger dexterity warm-ups, exercises and practice techniques to advance us to the next level of uke playing. Guaranteed to make you a better player! Review melody playing/reading tab to get us ready for the next workshop! All this while learning some great tunes! 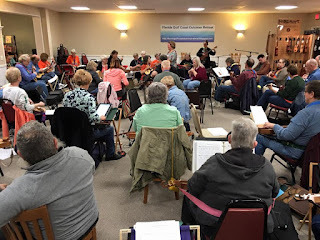 Ukulele - Intermediate - Manatee Orchestra - You are welcome even if you plan on playing a different instrument for the Orchestra! 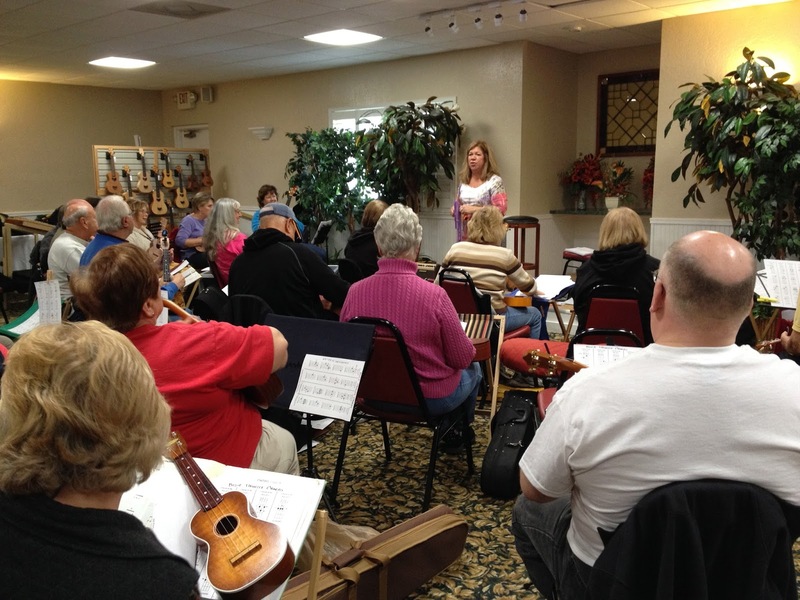 If you can read music/uke tab to play a little melody, this workshop is for you! Learn different techniques while learning tunes for the Manatee Orchestra! Each tune will have an arrangement with melody, at least one harmony, as well as some new back-up methods. 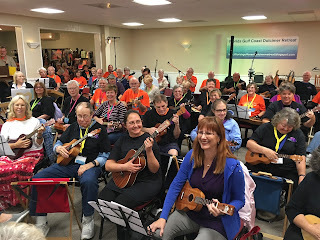 Chord/Strum Marathon - Beyond Beginner - A workout on strumming as we learn some great ukulele tunes. 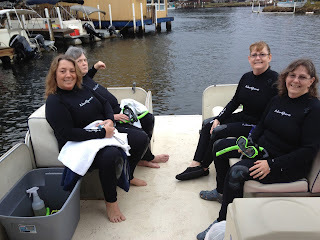 We’ll also learn the back-up for the tunes for Manatee Orchestra. Ukulele - All levels - Jammin’ on a Uke! 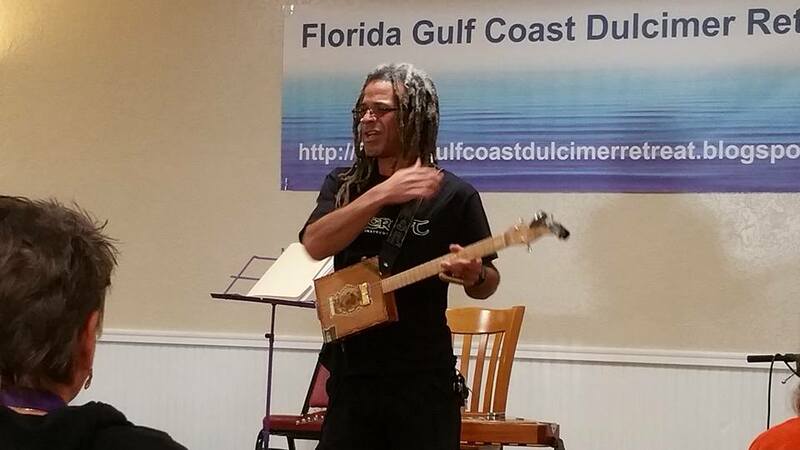 - Learn and practice lots of tunes in “dulcimer jam-friendly” keys! For beginners: a great way to practice and learn some jam tunes and get up to ‘jam speed’ on chord changes; If you read music/uke tab, all melodies and harmonies to some of our favorite jam tunes will be provided. We’ll start out slow and work our way up to jammin’ speed! 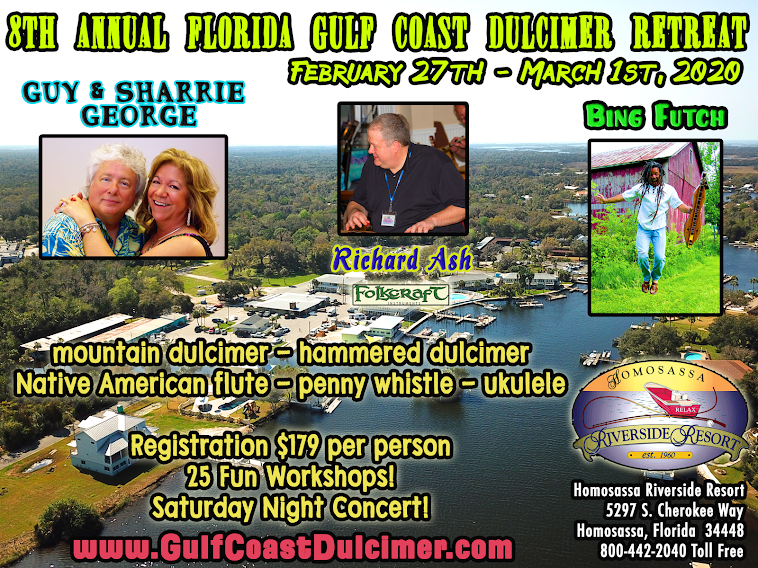 Thank you for registering for the 5th Annual Florida Gulf Coast Dulcimer Retreat! 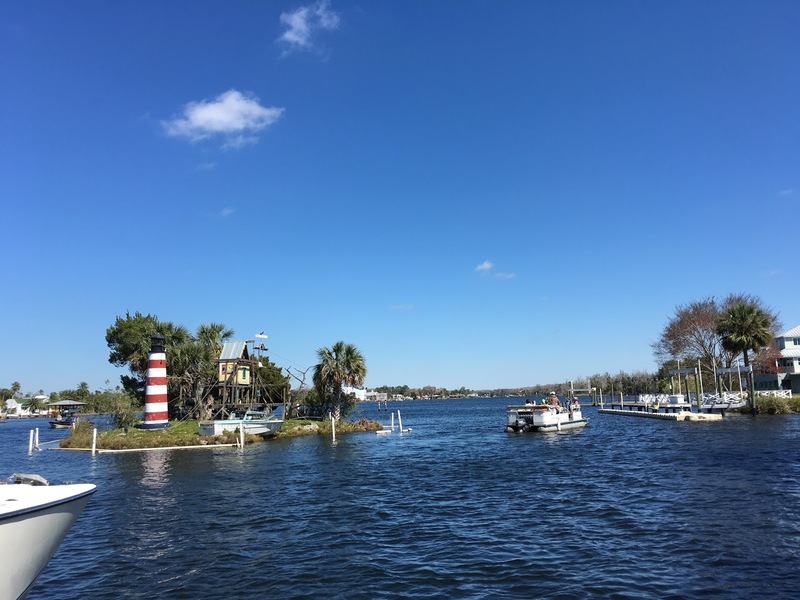 We're looking forward to seeing you back on the shores of the Homosassa River, February 23 - 26, 2017! 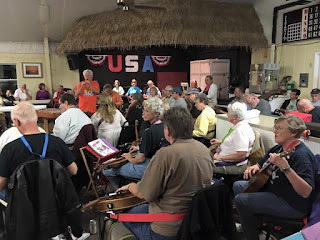 After a full day of workshops on Thursday, a number of folks went over to the Homosassa River RV Resort and participated in our annual jam in the main building. The residents of the park thoroughly enjoyed the mixture of popular and traditional tunes and our students received both valuable public performance experience and applause. 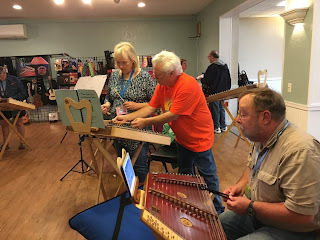 Bing's beginning mountain dulcimer group. 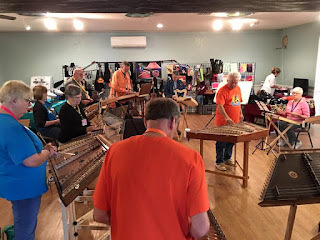 There's a big group of mountain dulcimer players attending this year, which have made workshops with Bing Futch and Richard Ash quite sizable! Richard Ash teaches on Friday morning. Tonight, there will be another Margarita/Mimosa Jam in the Manatee Ballroom at 7:30 pm. Looking forward to another great musical time! Guy George teaches the beginner hammered dulcimer workshop bright and early! 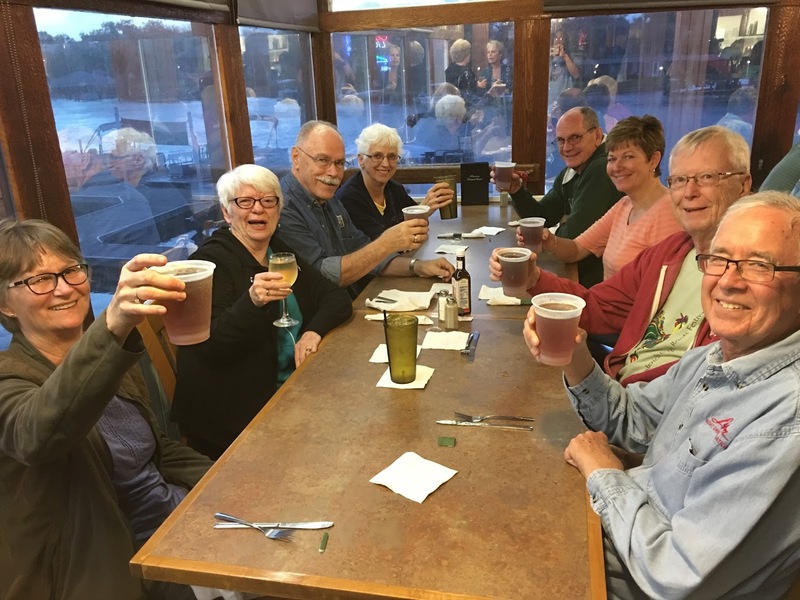 After a rather lively pre-retreat set-up and Margarita Jam (yes, with actual margaritas! 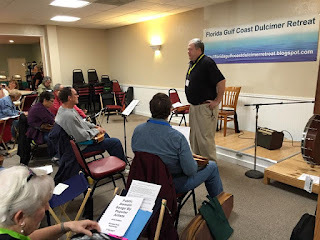 ), we're off and running (in a laid-back way) with this year's Florida Gulf Coast Dulcimer Retreat! They've come from all over the country to be with us here today in beautiful Homosassa, Florida, and the party is just getting started! Besides a full slate of workshops today, we'll have rehearsals for The Manatee Orchestra, where our registrants can learn three fun tunes and then prepare to join the Saturday evening concert with the instructors! 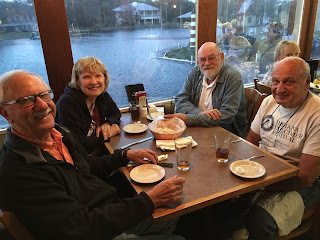 We'll also have our annual jam at the Homosassa River RV Park and Resort at 7:30 pm. We're already looking at next year's event - February 23 - 26, 2017! 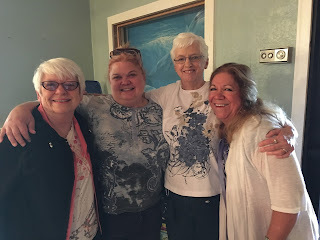 But watch for more to come from this year's retreat right here! 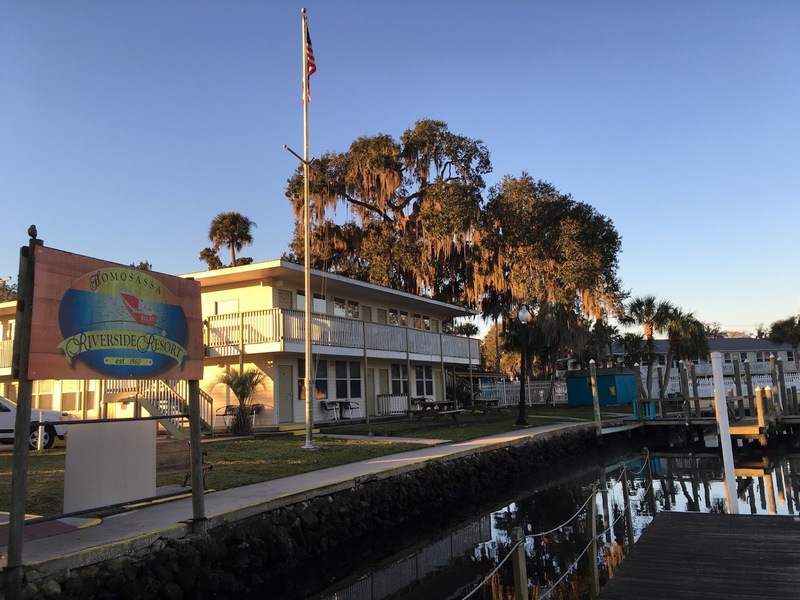 We're excited about this week as the 4th Annual Florida Gulf Coast Dulcimer Retreat takes place starting Thursday at the Homosassa Riverside Resort! 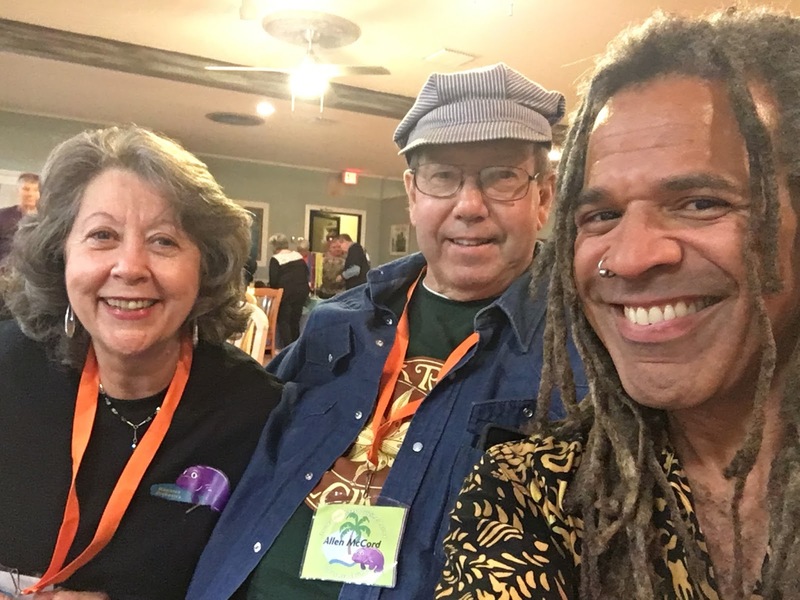 It's not too late to register for four days of workshops with me, Guy George, Sharrie George and Richard Ash. Sponsored by Folkcraft Instruments, this is a laid-back retreat with plenty of time to relax, go kayaking, swimming with manatees and jam to your hearts' content. 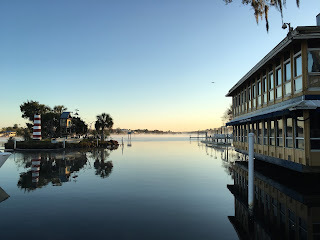 Lodging is near-capacity at the resort, but there are other places nearby to stay. See you in Old Florida soon! We're just two weeks away from our 4th Annual Florida Gulf Coast Dulcimer Retreat and we're excited for another great time at the Homosassa Riverside Resort! 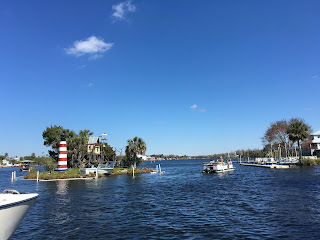 The weather is forecast to be absolutely beautiful with days in the 70s and evenings in the 50s. There are still a few registrations available and only a few rooms left at the resort, so don't miss out on your chance to experience one of the most fun, laid-back, educational and inspirational dulcimer retreats in the world! We have workshops in mountain dulcimer, hammered dulcimer, ukulele, Native American flute, penny whistle and more! Loaners are available for all instruments. If you've ever wanted to try something new, our schedule is linear - so there are no competing classes which means no tough choices! 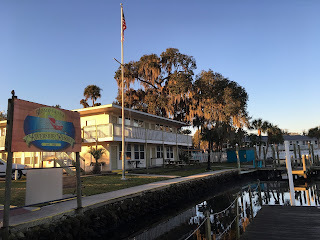 We'll have breakfast coffee and snacks, with fantastic meals available at the Riverside Crab House and a number of locations around the resort. Buy fresh seafood from Shelly's, within walking distance, and bring it back to your room for world-famous grouper and blue crab dinners! 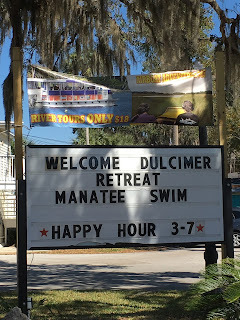 We're the only dulcimer event where you can swim with manatees! Swim tours depart several times daily from the marina. 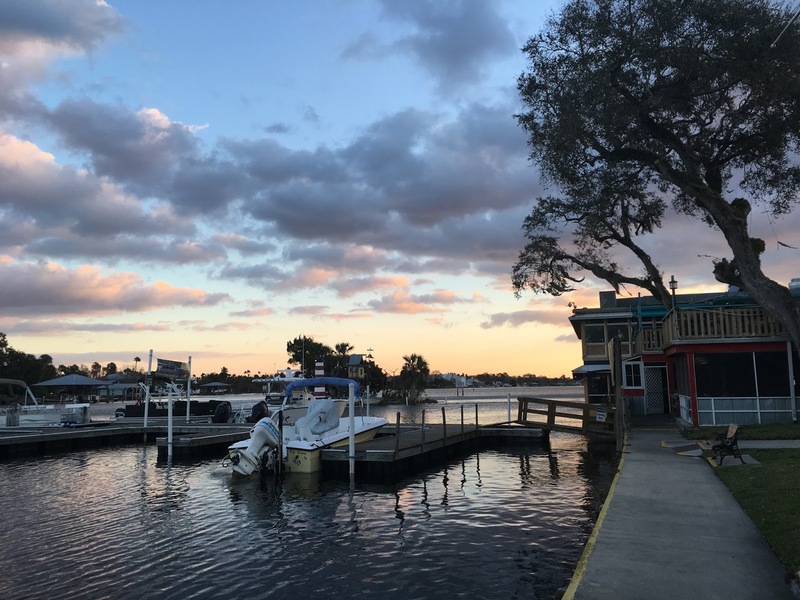 You can also rent a kayak, go fishing, or just chill out by the water's edge and enjoy the peace and tranquility of Old Florida. There will be plenty of jamming and, of course, The Manatee Orchestra, where YOU become a part of the Saturday evening concert! Find out why so many folks make it an annual tradition to join us in Old Homosassa for the Florida Gulf Coast Dulcimer Retreat! Don't delay - we WILL sell out! 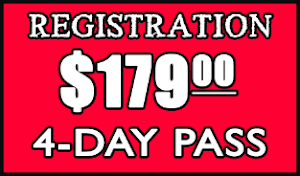 Use the links to the right for more information and book your accommodations today! T-shirts are now available to order for this years Retreat! 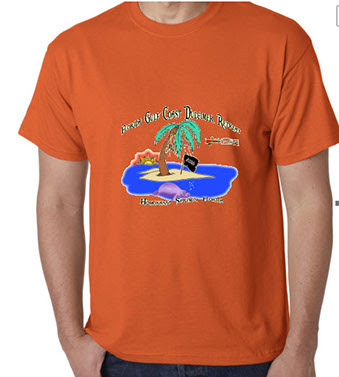 Click on this link to order: http://www.islandguymusic.com/wearables.html (Retreat t-shirt is at the end of the page) Order by 2/10/16 to get yours at the Retreat!